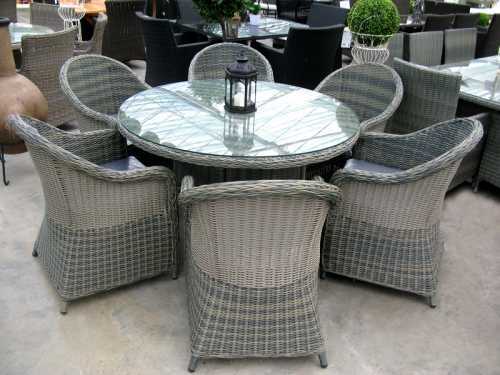 Poly Rattan Garden Set, round glass top table and six chairs. This patio set is manufactured using a high quality, weather resistant woven poly rattan. It will greatly enchance any indoor/outdoor spaces, and can be used all year round. This item is not included in the £99 free delivery option. Please call for a delivery quote.